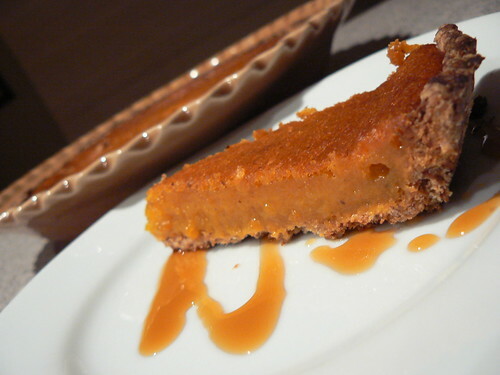 This entry was posted in Food and tagged cravings, Food, pumpkin pie. Me too please can I have some? I shall have to try making a couple of pumpkin pies to be in readiness for Thanksgiving, perhaps. Where is the spelt crust recipe from? Hah. Hah! I remember that pie. As does Ruth. And Bnonny. We mention it often. But not like that. Have some pumpkin pie, you said. It’s good, you said. And we did. And that was the moment we decided that if you ever got festering kidney disease, you would beg in vain. You would have to pry our kidneys from our cold dead hands… and then they wouldn’t be vegan. As opposed to the pie. You got some nerve, I say. My tastebuds had just about recovered from the shock, and Bnonny had just about been able to utter the words “pumpkin pie” without Ruth saying “Gosh, remember when…” And then this. Blimey. That’s like Augustine sending his girlfriend a Happy I-Got-Religion Day card. Is wot. What was wrong with it? It looks lovely… This wasn’t the one she forgot to put sweetening in – I think that one had a normal crust, didn’t it? Was it the crust or the innards? Let this post serve as a lesson—nay, a warning—to all those naive food-lovers out there who believe that a dish must be good because, well, lookit the photo! No sir; I say again, No! That photo is a lie from the pit; an buigilingly macro example of jauntily-cocked deceit, dissimulation and dupery. Oh yes, I remember this pie. I remember…its insipid, flaccid appearance—the suspicious, shiny veneer, suggestive of its hideous texture, which the camera cunningly makes to appear moist and firm. But was it moist and firm? Oh no. Crikey, it was like eating Essence of Dead Frogs. Bad enough that a slice could barely maintain its form while on the plate, and started to drip when placed onto a fork—but when it reached my lips my wretched tongue recoiled, for it was like a watery, limp pumpkin compost. Rather than melting in my mouth…dissolved…seeping thinly into every crevice, as if seeking a permanent home for its putrescence in my taste-buds and saliva glands. And the solid remains, which could not liquefy and infiltrate every inward pore, instead wrapped their foul tendrils stringily around my tongue, making the invasion of vileness complete. Fortunately, I was able to wash it down by puking up a little in my mouth. In short: Worst. Pie. Evah. You’re all mad. It was a lovely pie. I never served it to you. I ate it myself while I was housesitting, hence the unfamiliar pie dish, so there. Well, we ate its cousin. Some relation, anyway. Son of Pie, it should have been called on the graphically pumpkin-splattered poster.